This is the first time we have got to see the official render images of the upcoming Samsung Galaxy A40 smartphone. 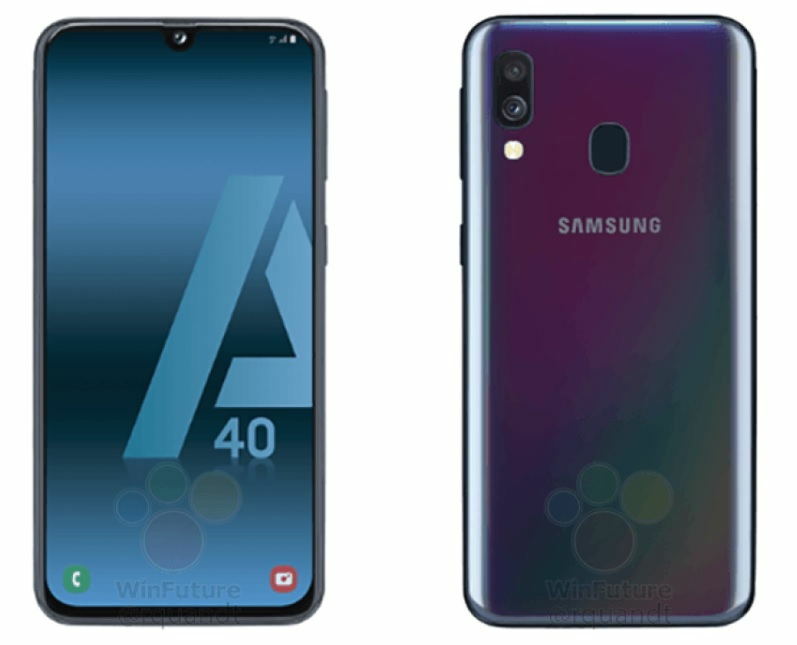 All thanks to the popular tipster @rquandt via Winfuture who shared a handful of new official render images of the upcoming Galaxy A40 smartphone. 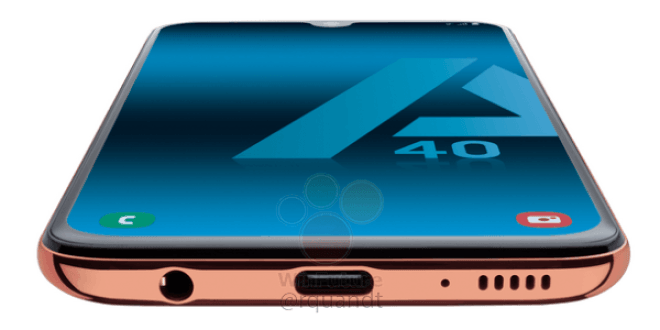 In an earlier post today, Winfuture shared two of the four renders of the Galaxy A40 device. 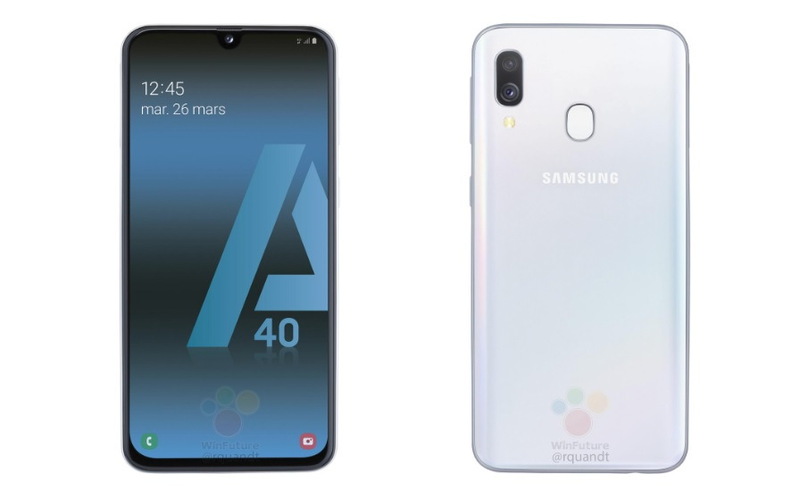 Later today, rquandt shared the third color, which is the White color of the Galaxy A40 smartphone. The post further reveals that the Galaxy A40 will next to the Galaxy A50 in terms of design and specs. The post reveals that the phone is expected to be available in black, blue, coral and white color options. In addition to this, the upcoming Samsung Galaxy A40 is expected to b powered by an Exynos 7885 Octa-core SoC, similar to the last year’s Galaxy A8. The phone is also expected to boast 64GB of internal memory. As we can see, there also appears to be a dual rear camera setup and a single front camera housed on the waterdrop Notch. Winfuture also confirms on the basis of the press photos that the Galaxy A40 will feature a USB-C port, 4000mAh battery. On the bottom, we can also see a 3.5mm headphone jack, mic, and speaker. On the back side, you will also find a regular fingerprint sensor. But, since these specifications are based on renders we should take this with a pinch of salt. Lastly, the post reports that the Galaxy A40 could be priced at around 250 euros, which is around Rs. 20,000 INR. For now, we don’t have any official details available regarding this new upcoming Galaxy A40 device.